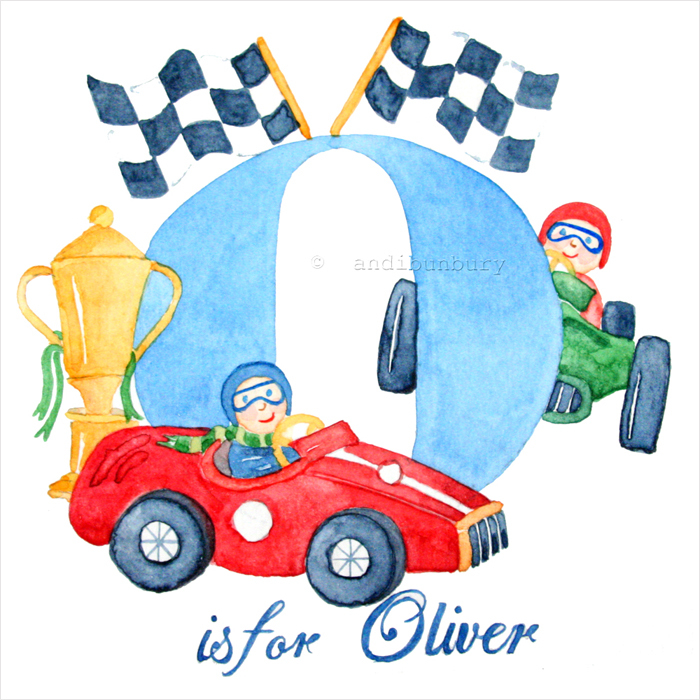 The racing cars design is quite flexible but obviously works well in primary colours with the old-fashioned racing cars in red, blue or racing green. Cars can be front on, side on or a mix of both. 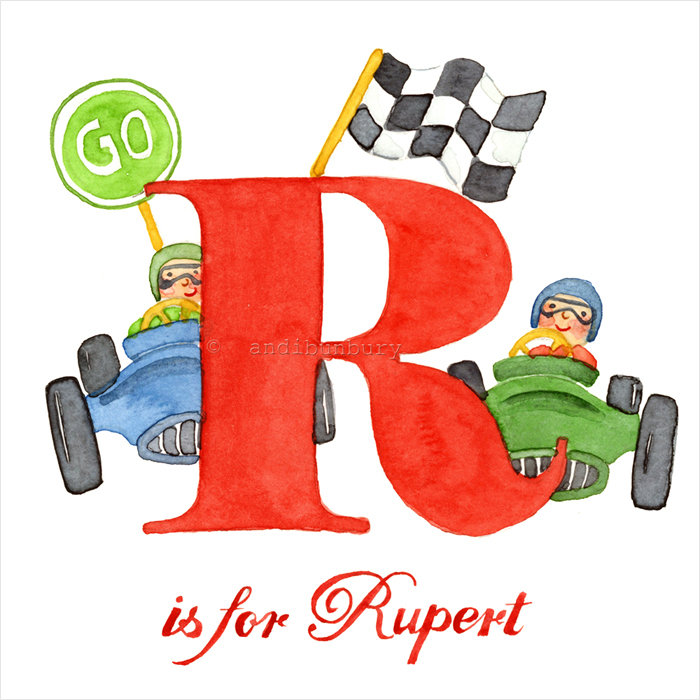 Generally, the colour of the cars is selected depending on the colour initial so that the cars contrast well against the colour lettering. Additional illustrations in the way of trophies, flags and signs add interest. An original watercolour, it is hand-painted on thick watercolour paper and mounted using an off-white acid free mount board. The lettering below is hand-drawn and hand-painted in a script style. Presented in an off-white textured mount, the finished mounted picture measures approx. 23cm x 23cm, ready to slot into a standard off-the-shelf frame. (The dimensions of the painting itself within the aperture of the mount are approximately 12cm x 12cm).